Anyway, with those great close up versions of the caterpillars from books, we all learnt so much more! 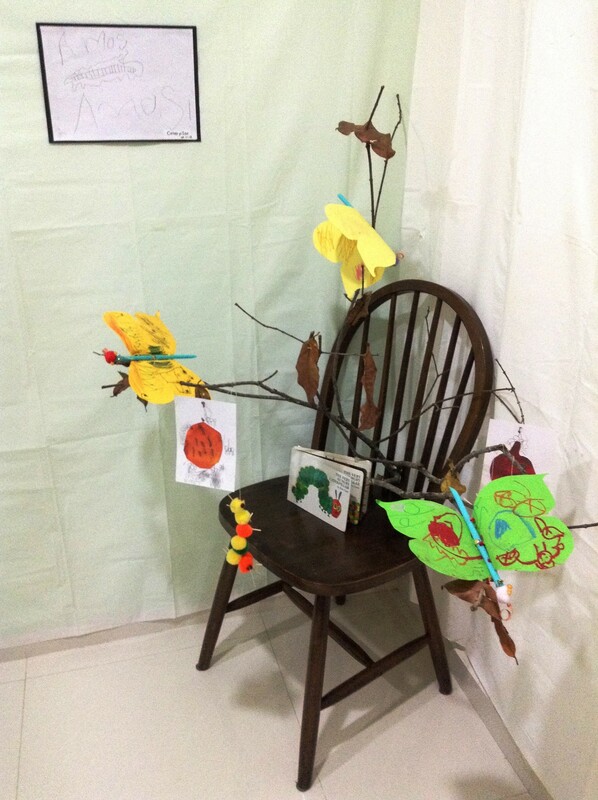 From those picture studies, the kids were encouraged to draw from what they observed. Only A’s drawing was put up as i didn’t manage to exhibit the other kids’ works and J had given up halfway and ruined his work due to the lack of time. I respected his decision to not put up his work and his wish on not making a second attempt of the drawing. Afterall, he is the artist not me. There would be other opportunities for encouragement in completing what he had started. 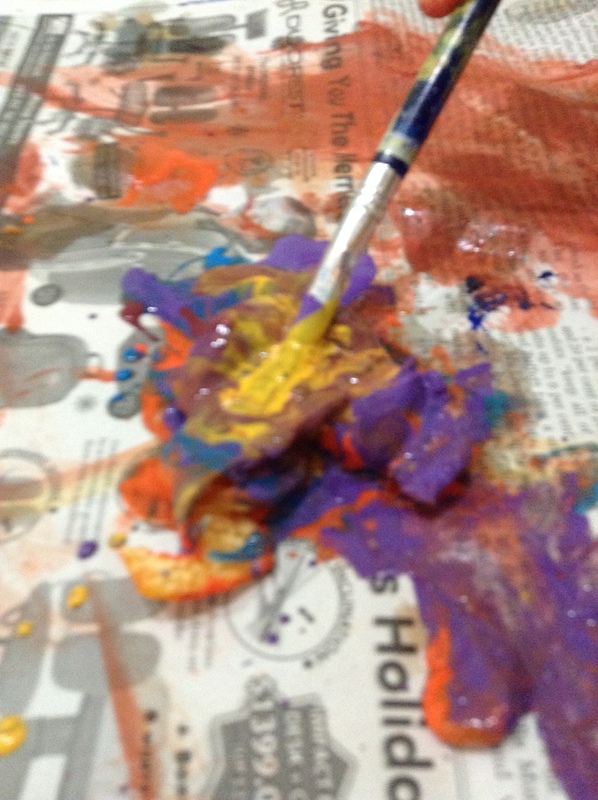 Each child had selected a fruit of their choice to paint first hand. 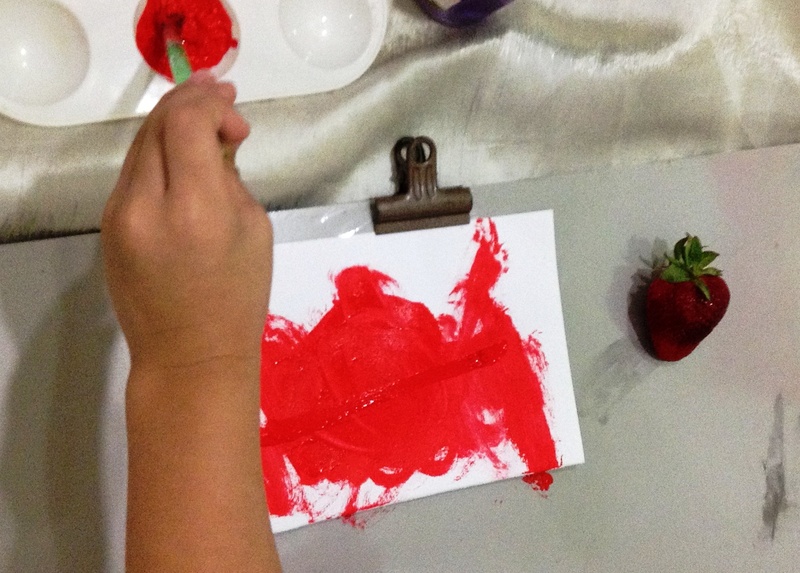 Jo picked his strawberry and began painting the background and the darker tones. Afterwhich he traced the shape of the strawberry and i helped him cut out the shape. 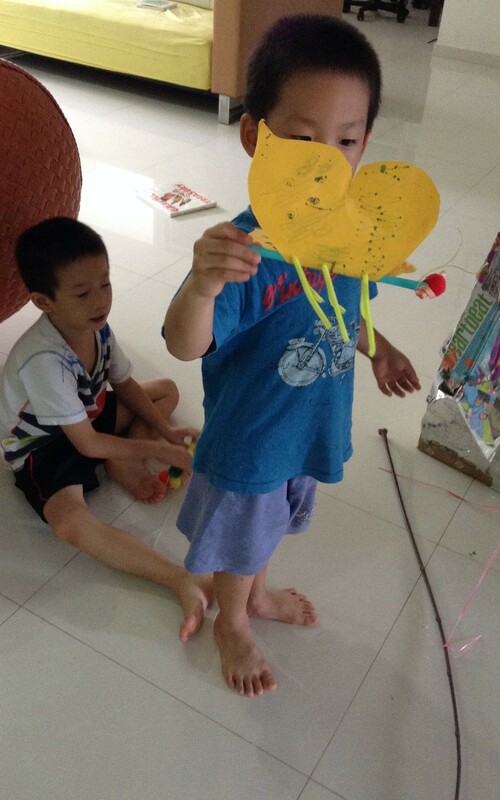 (For this activity, the objective is in the painting and not the cutting) He also made his pom pom caterpillar with a thread, toothpicks and saga seeds. 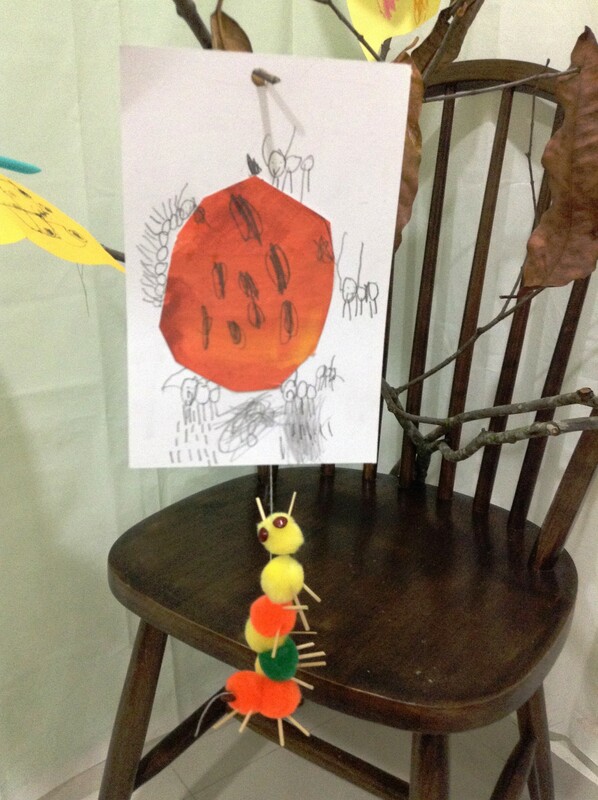 A was the one who suggested how we should put up the painting of their fruits on the tree branch as well so that it will look like the caterpillar is trying to ‘eat his orange’. His orange was also surrounded by many more ants and caterpillars carrying their loot and he even explained that the ants were perspiring because of the heavy load they had to carry! I had only asked him to add some details that was on the orange and he initiated the rest of the drawings. I was like, mmmm interesting… On the right, he was busy attacking the real mandarin specimen with his paints after he had completed his painting. 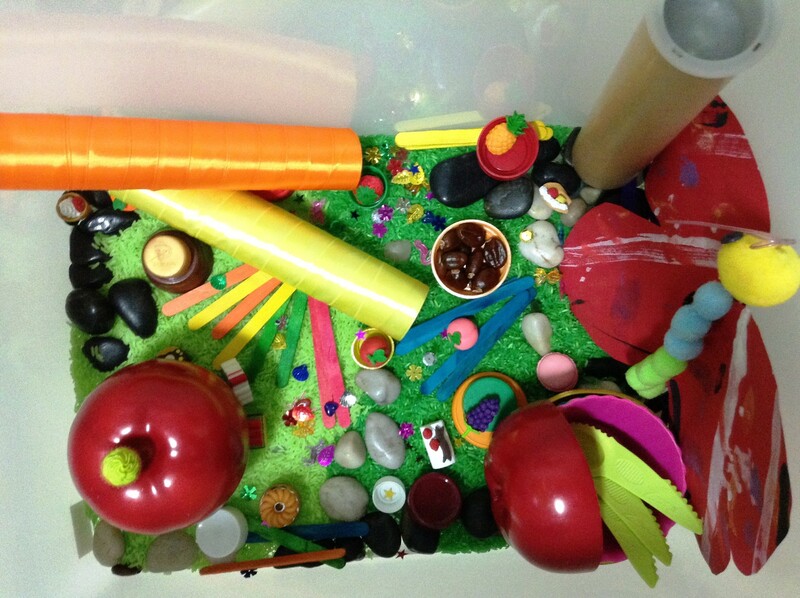 Great sensory play. 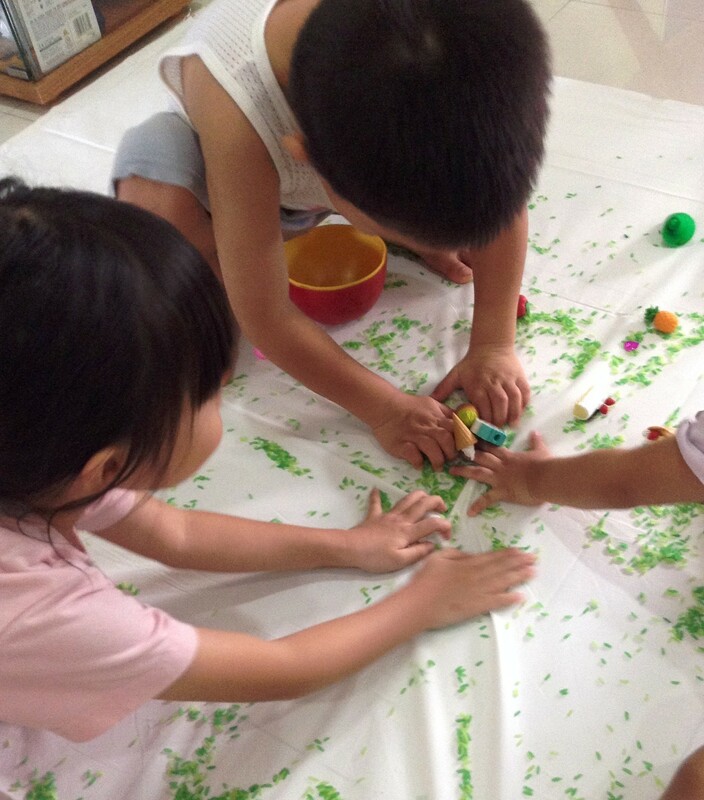 The boys playing with their own creations dramatising the story of their own. 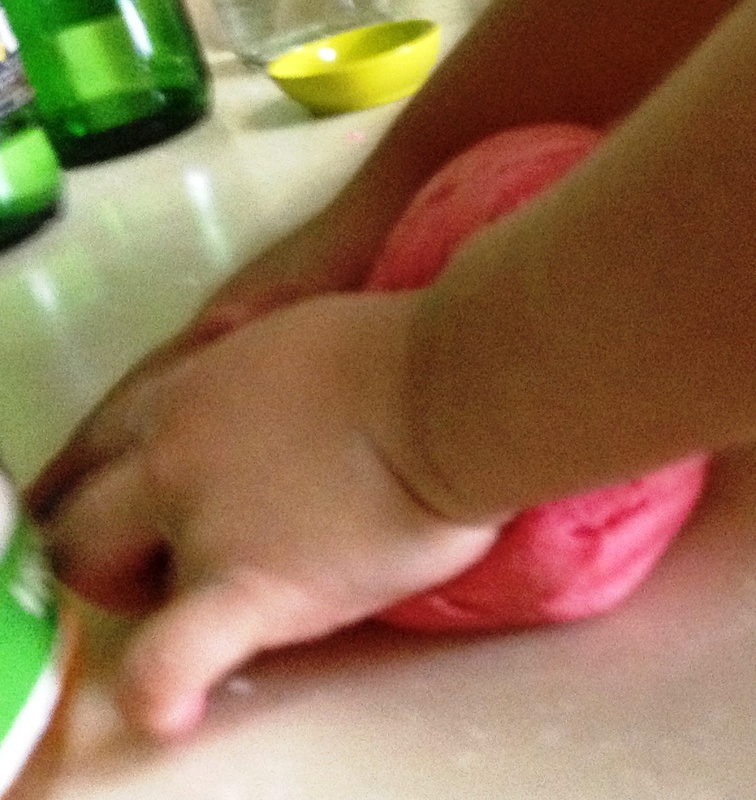 I got all three of my kids to make the no cook playdough from scratch for the art lesson. 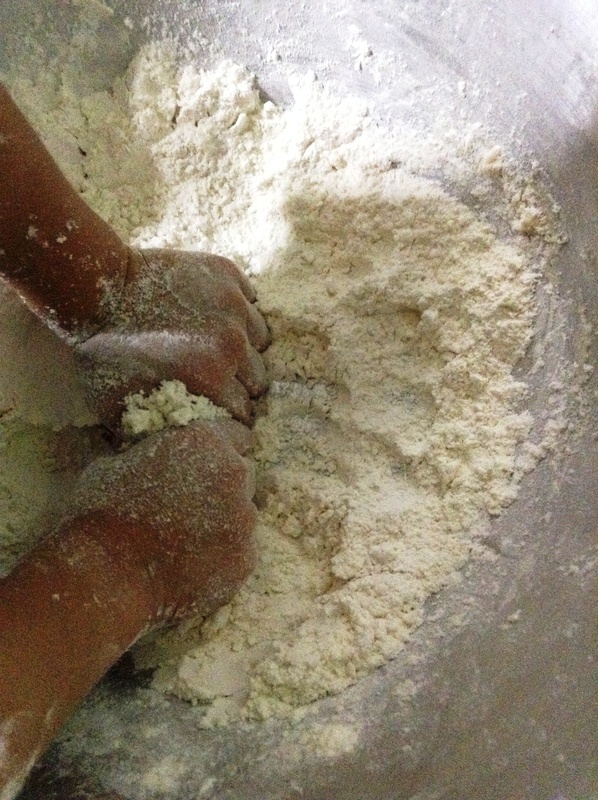 They learnt how to measure the correct amount of ingredients and learnt how much work was involved in the process. 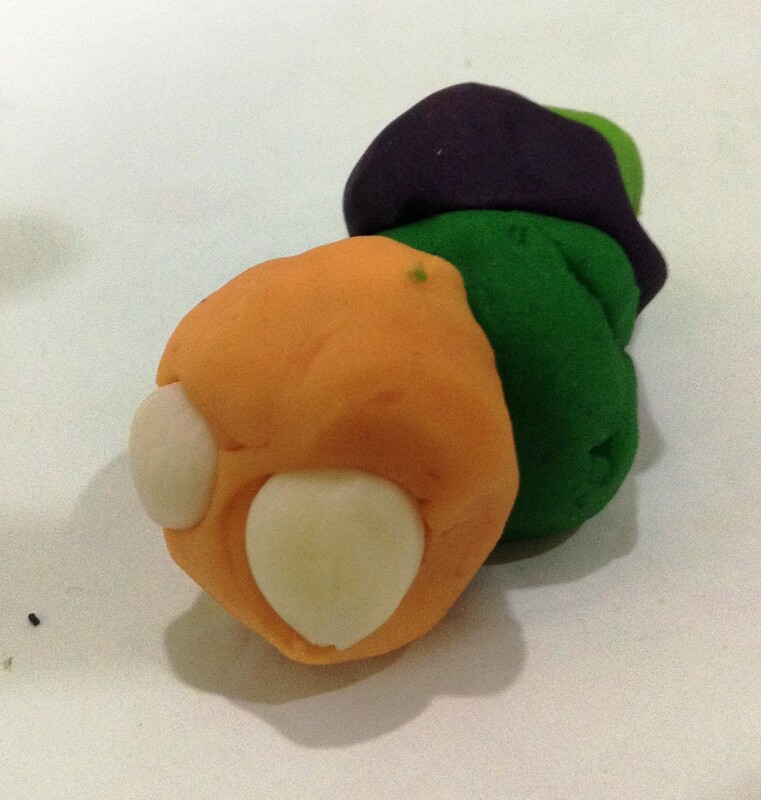 On the left, was A’s attempt on recreating the very hungry caterpillar scene while J was contented to make this very tiny caterpillar which is actually the size of his palm (this is a close up) and just playing a ball of dough throwing it around. 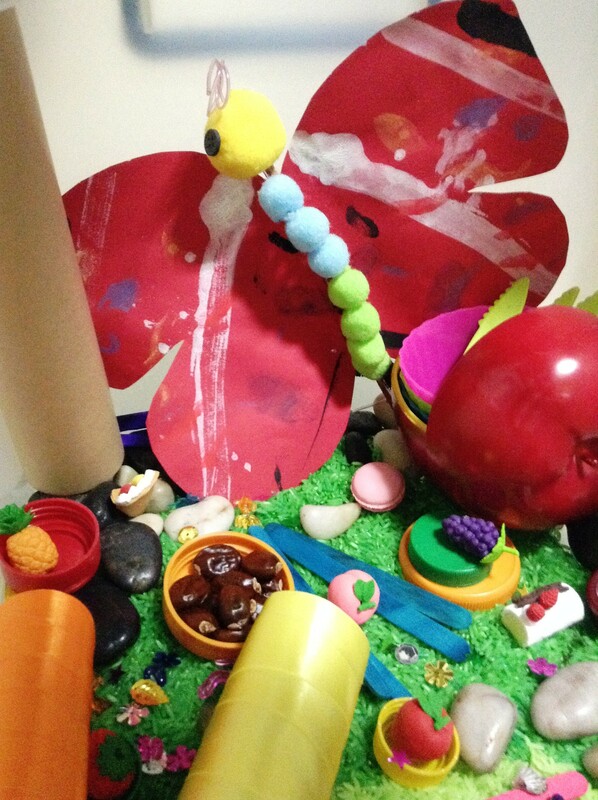 The whole group had different versions of the caterpillar and also made up other imagined items along the way. 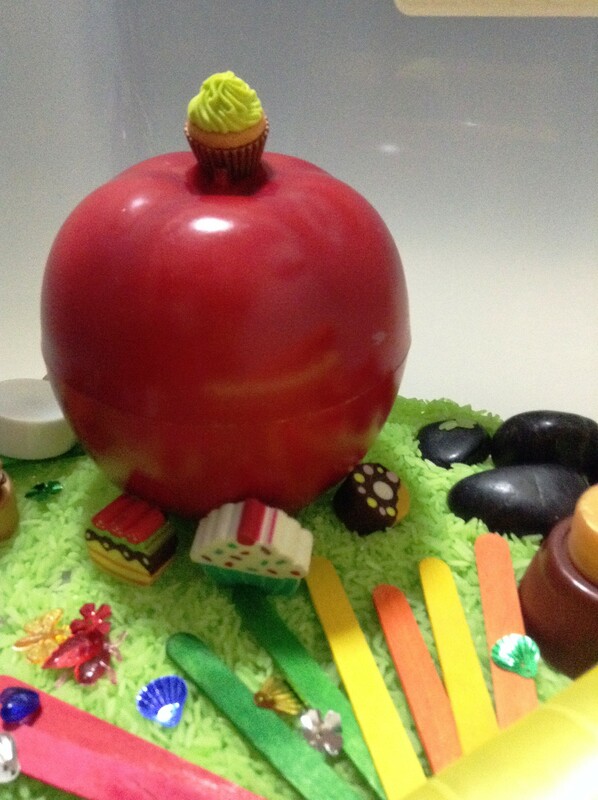 The goal was to expose them to moulding forms and understanding the difference between a form and a flat surface. 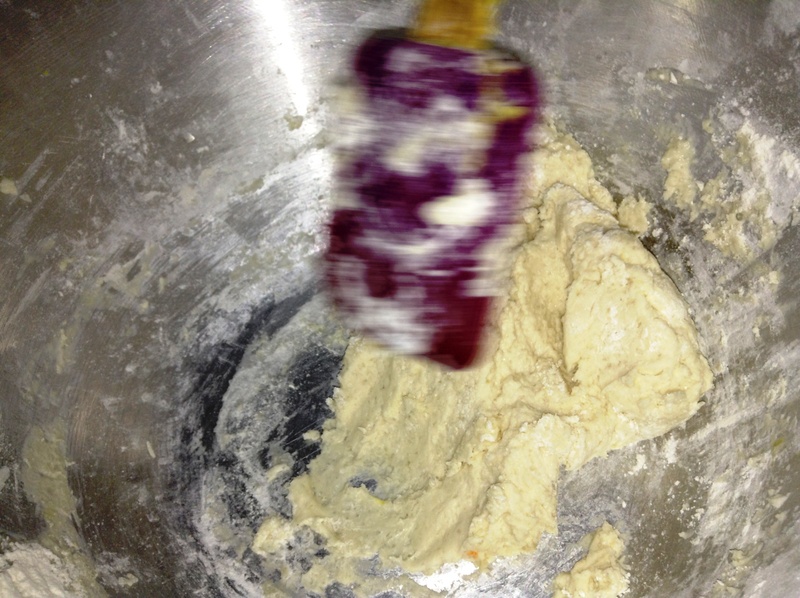 The soft and smooth playdough is a great start! 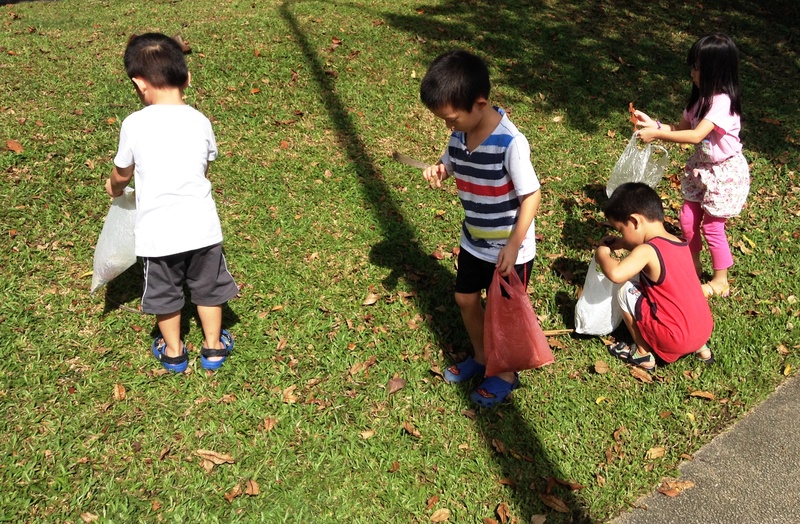 The kids also went for a nature walk to pick leaves fresh and dried ones for their sensory play and installation. This idea was derived from http://theimaginationtree.com/category/hungry-caterpillar. I do not have the beautiful wooden toys but i had other items that was fun as well. 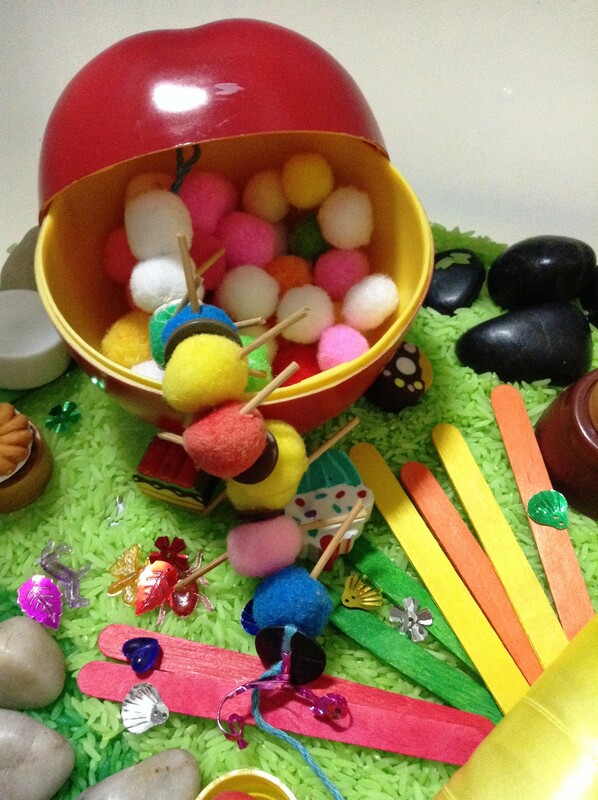 I added my own pebbles, some eraser food and fruits which were tiny and fun to hold. I also added the handmade caterpillar and butterfly which were done by A and me when he was only 2 and a half yrs old. 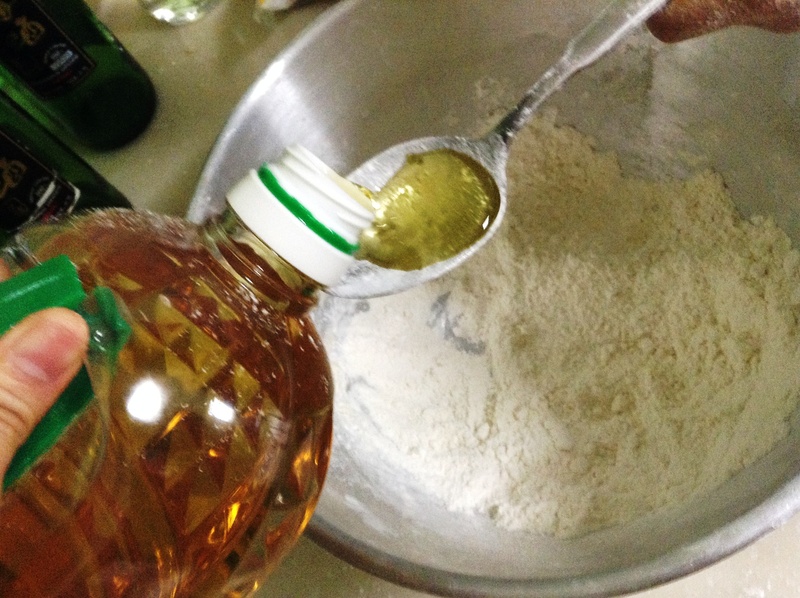 As for the green rice, you can easily dye it green by adding a few drops of food colouring and a generous squirt of hand sanitiser or alcohol. 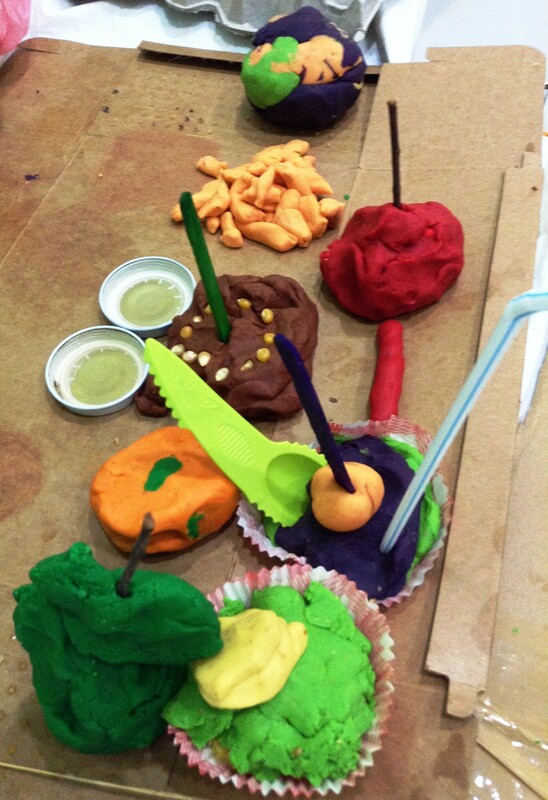 To top up the art experience, we had a fruit tasting party on one of the session. Can you predict what were their next action after this?? May you have showers of blessings indeed!